Taipei, June 4 (CNA) Taiwan's excellent results in treating the burn victims of a fiery explosion that occurred last year at the Formosa Fun Coast Water Park (八仙樂園) in New Taipei have deeply impressed Europe's medical community, a local doctor said Saturday. The accident, which occurred June 27, 2015, left 499 people injured, including more than 300 who were severely burned. With dedicated efforts by hospitals around Taiwan to treat the patients, only 15 of them died, which translates into a death rate of just 3 percent. Last month, representatives from Taiwan were invited to share their experience in a conference on the treatment of massive burn casualties held by the Humanitarian Aid and Civil Protection under the European Commission in the Belgian capital of Brussels. Among them were Tai Hao-chih (戴浩志), chief of the plastic surgery division at National Taiwan University Hospital. 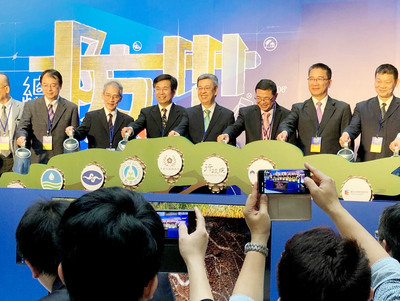 According to Tai, the conference brought together representatives from more than 20 European countries, with Taiwan the only participant from Asia. He pointed out that in recent years, Europe has suffered several terror attacks that resulted in 100 to 200 injuries. Because most hospitals cannot accommodate so many patients at the same time, the victims had to be sent to various countries for treatment, he said. The large number of severely injured patients, combined with incomplete medical resources, pushed the death rates of the attacks to between 20 percent and 60 percent, he said. In Taiwan, the government adopted several emergency measures in the wake of the Formosa Fun Coast Water Park accident, including easing the requirements of National Health Insurance coverage for burn injuries and importing large amounts of cadaveric and artificial skin to allow hospitals to make best use of their resources to treat the patients, he said. Also, immediately after the accident, hospitals around Taiwan provided as many intensive care beds as possible to admit patients and charged certain healthcare workers with the special responsibility of taking care of them, he said. These efforts successfully reduced the patients' mortality to 3 percent, which greatly impressed and amazed the European countries, he said.